 In 1975, the catalytic converter was installed on all new cars. 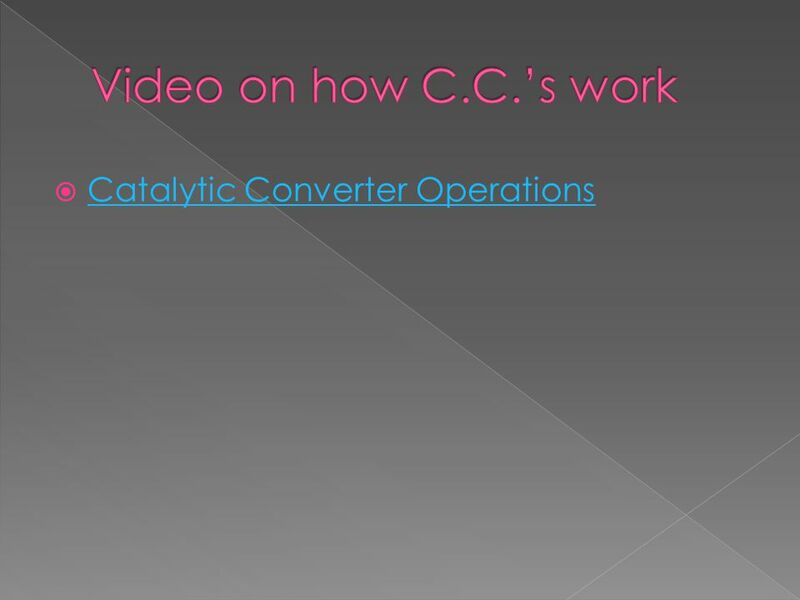  The job of the catalytic converter is convert harmful pollutants into less harmful. 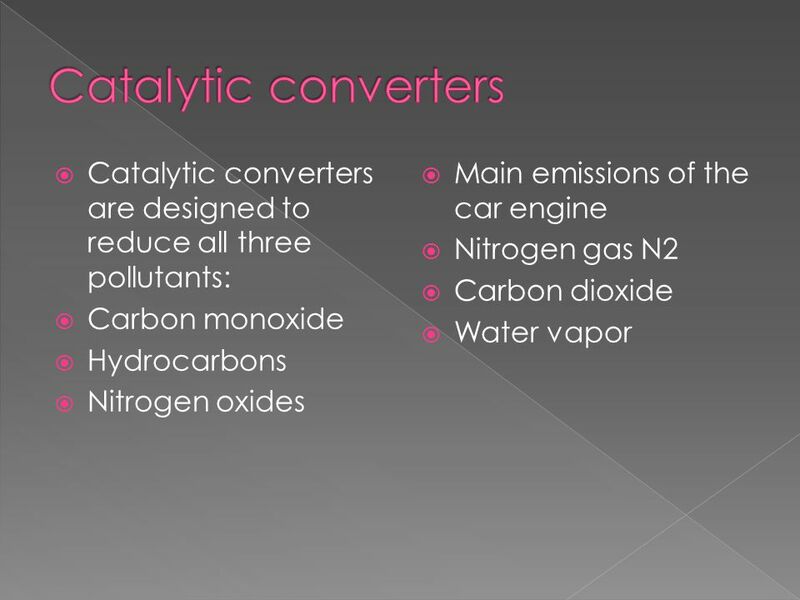 3  In 1975, the catalytic converter was installed on all new cars.  The job of the catalytic converter is convert harmful pollutants into less harmful emissions before they ever leave the car’s exhaust system. 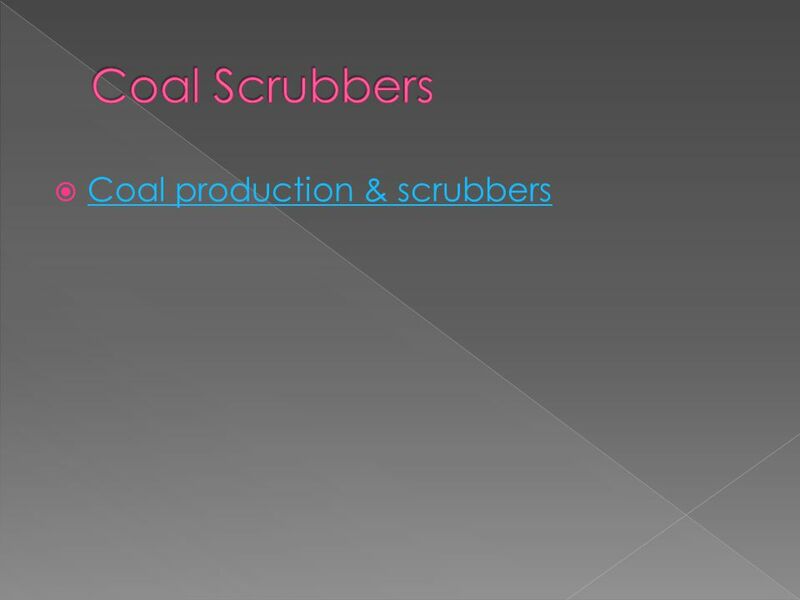 6 A coal scrubber is designed to remove SO2 and Nox from coal production factories. 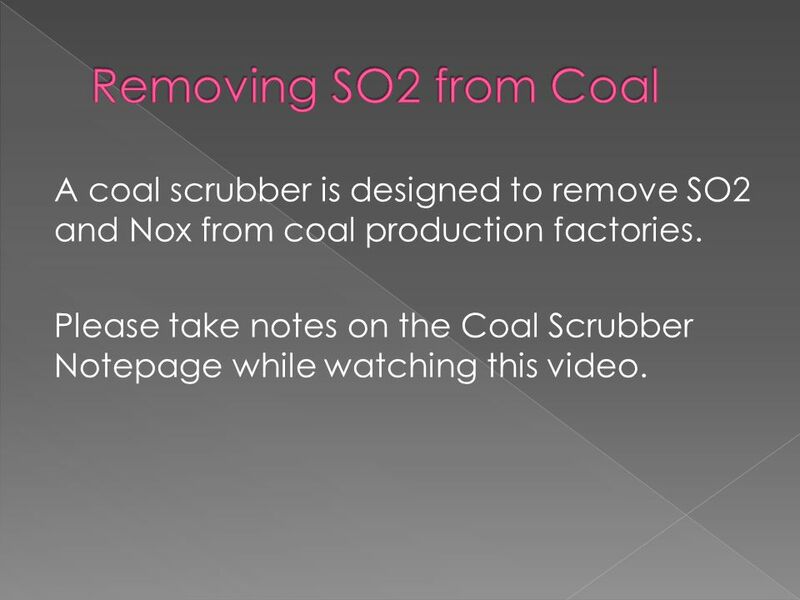 Please take notes on the Coal Scrubber Notepage while watching this video. 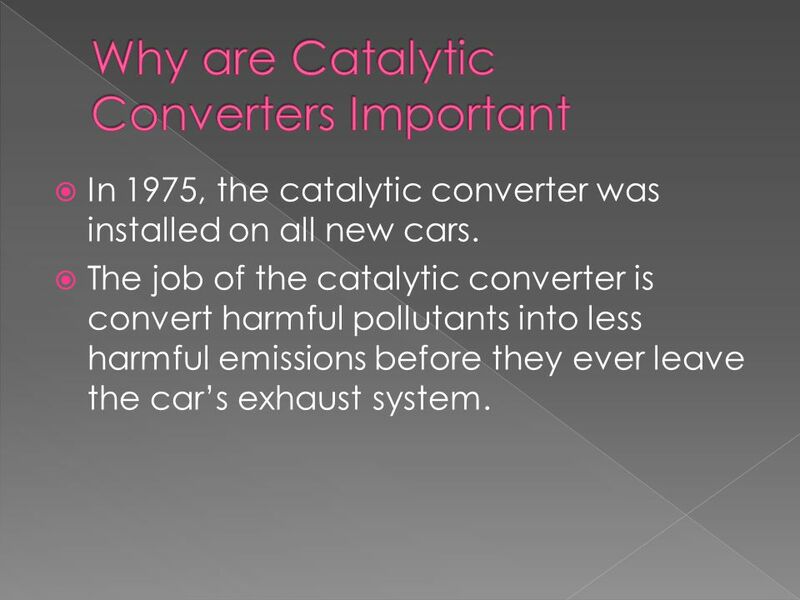 Download ppt " In 1975, the catalytic converter was installed on all new cars. 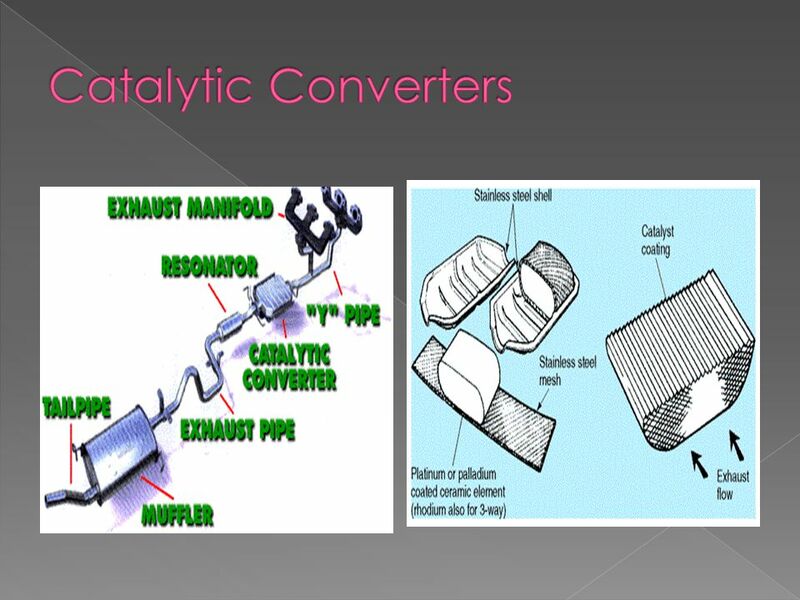  The job of the catalytic converter is convert harmful pollutants into less harmful." 9.2 Smog Heat Island Effect Noise Lights. Smog Dirty clouds of pollution. E1-Air Pollution! Heather Yin Period 3. Why Should I Care?! As humans populate the planet, we produce waste that is absorbed by our atmosphere which directly. 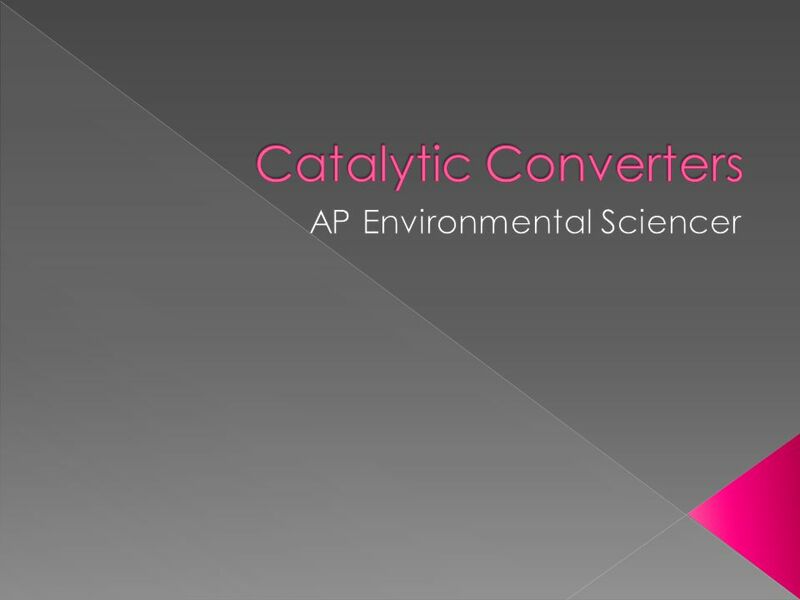 MOHAWK ® CATALYTIC CONVERTER. Introduction Millions of cars on the road are a source of air pollution. The amount of pollution that all the cars produce. Unit 26 Environmental Problems associated with the use of fossil fuels. The “Big Five” Air Pollutants. Carbon Monoxide When fossil fuels and other organic fuels (e.g. wood) burn, they release water vapor and carbon dioxide. Exhaust System. Exhaust system components: 1-Catalytic Converter 1-Catalytic Converter 2-Muffler 2-Muffler 3-Resonator 3-Resonator 4-Tail pipe 4-Tail. Use of Biodiesel in Diesel Engines Jeffry N Curtis. Name the chemicals and write the formula Carbon monoxide CO.